(Bloomberg) – Naspers Ltd. is considering the listing of certain parts of its sprawling global media and technology business outside South Africa as the continent’s largest company by market value seeks to reduce its size. The company takes “very seriously” the difference in value between its stake in Chinese internet giant Tencent Holdings Ltd. and the firm as a whole, Chief Executive Officer Bob Van Dijk said in an interview on Thursday. Naspers’s weighting on Johannesburg’s stock exchange of more than 19 percent is also too high and forces some investors to reduce their holdings, he added. 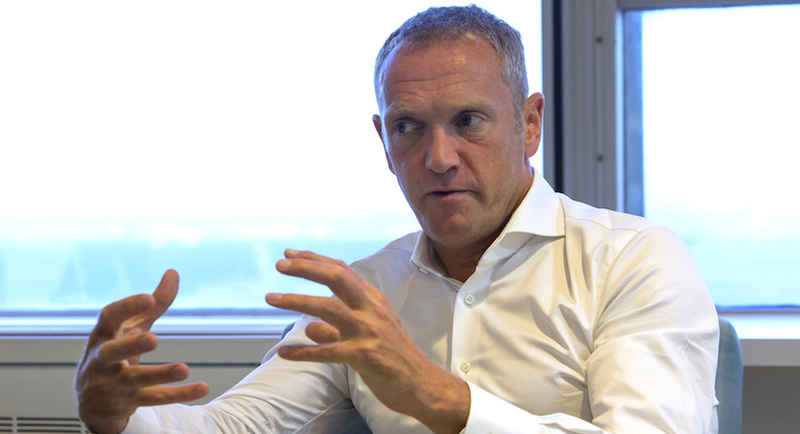 That said, Naspers is committed to retaining a primary listing on the South African city’s bourse, the CEO said in Johannesburg, where he was attending a summit of BRICS nations. Mobile-payment technology has been identified as a cornerstone of Naspers’s investment strategy, Van Dijk said. The Cape Town-based company will spend “several billions” of dollars in the industry, with the most recent purchase being ZOOZ in Israel. Online education – particularly in skills such as writing code – is another high-potential area, while future markets include technology to help the elderly.